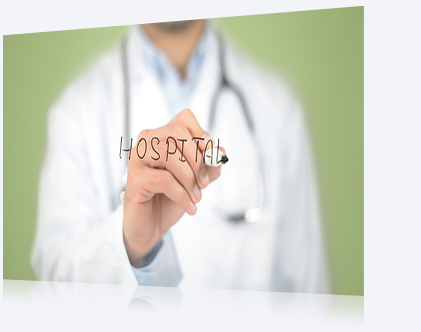 Thanks to the advances in hospital IT services, networks now allow us to refer to various medical images and electronic medical records simultaneously. Most medical images are viewed in accordance with DICOM standards but the costs associated with introducing high performance, DICOM Part 14 compliant medical monitors in all areas of a hospital can be a challenge. When considering an optimal environment, cost is a major factor. Although it is ideal to install high-performance medical monitors throughout the entire hospital, it is important to consider which products are best suited to each environment. EIZO's RadiForce MX-Series offers the high image quality needed for viewing medical images while maintaining cost-efficiency, balancing affordability and performance. EIZO is able to achieve this balance because of our experience with developing and manufacturing standard monitors for other markets in addition to those specialized for healthcare. Because electronic medical records need to be handled during an examination, a monitor that is intuitive to operate is essential for smooth interaction. 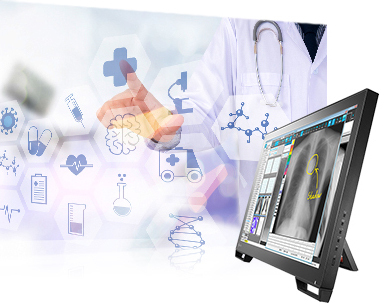 The RadiForce MS236WT and MS235WT touch panel monitor can display X-ray and DICOM-optimized images in the ideal tones and has intuitive multitouch operation and compatibility with styluses. In addition to touch pen and finger input, the RadiForce MS236WT accepts input from stylus pens, so small and detailed letters can easily be written into a medical record. You can rest your hand directly on the screen without causing any unintended touch input, making it convenient for use as an electronic medical chart in examination rooms and clinics.